18-04-2019: Book an Appointment to view Uptown @ Farrer Show Flat and get Direct Developer Price + Discounts. 17-04-2019: Developer sales volume went up in March. 14-01-2019: Read about URA Masterplan for Farrer Park Under Central Planning Area. 30-12-2018: Download and view the Uptown @ Farrer E-Brochure. Low Keng Huat (Singapore) Limited (“LKHS”) started off as a general building construction company. Today, it is a diversified group with 33 subsidiaries and 12 associated companies involved in three core activities – construction and civil engineering, property development, and property investment. LHKS has been ranked by the Construction Industry Development Board (CIDB) as the TOP local construction company in terms of capital deployment in 1990. Early projects included the now familiar landmarks such as OCBC Centre (then the tallest Singapore building in 1976), TAS Comcentre, UOB Head Quarters and the Plaza Singapura Shopping Complexes. As the beacon of suburban development in the Central Region, Uptown at Farrer stands poised as the threshold of myriad new developments. Itself being a mixed development of residential and commercial, with its vicinity in abundance of leisure and work facilities, healthcare and transport, they all fall within easy access with convenience along Serangoon Road and Race Course Road. 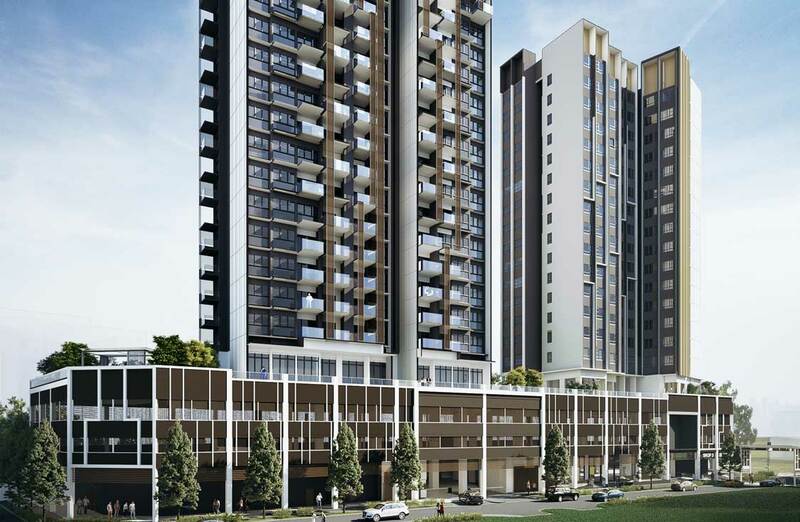 Read in for more details on why Uptown at Farrer is a highly sought after project. Take delight in the sumptuous array of conveniences and amenities so close to your doorstep at Uptown at Farrer condo, having Farrer Park MRT station(NE8) just at the door step, and with only a few minutes’ drive to the Central Expressway(CTE), allowing one to reach the heart of the city and other parts of Singapore such as Orchard Road, Bugis and City Hall within minutes. Within minutes to two of Singapore’s prominent shopping malls, City Square Mall and Mustafa Centre, the location offers one the convenience of having supermarkets and banks, while also appealing to one’s lifestyle needs with a wide variety of retail outlets and restaurants to whet one’s appetite. Uptown at Farrer condo is a home that encompasses everything you need, connected to everywhere you need to be. All the benefits of a Central Urban lifestyle are virtually at your doorstep. Uptown at Farrer offers exquisite residences and experiences for every desire. Own more than just a fabulous home. Unlock a lifestyle that will spark a heightened level of relaxation, rejuvenation and well being at your own pace. Uptown at Farrer condo has a fine selection of two- to five-bedroom units. Our show flat is a must visit to completely experience the fine detailed and exquisite residences. Do kindly book an appointment here or call us at +65 6100 7757 prior to your visit to the Uptown at Farrer Showflat as we may be closed at certain days/time. Online registrants who have booked an appointment here will be able to receive Direct Developer Discounted Price and need not to pay commission. 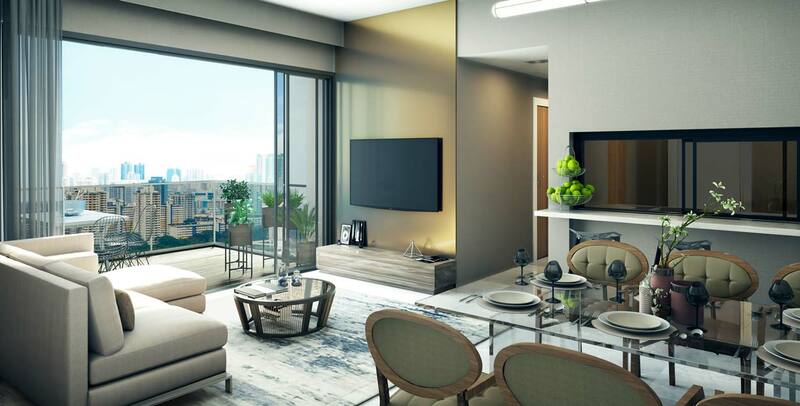 A lavish new life awaits at Uptown at Farrer, at the doorstep of Farrer Park MRT station, in a pivoting position amidst the City-fringe Region. Being a 24-storey development comprising a 21-story block of two to five-bedroom residential homes (116 units) with a swimming pool and roof garden at 4th level, one block of 16-storey service apartments (240 units to be managed by Ascott Group) with sky terrace at 4th level, and a 3-storey car park podium with commercial shops at 1st level in Perumal Road, Uptown at Farrer rises majestically above the streetscape on a nearly 41,417 sqft estate. Discover premium residences with refined touches, sumptuous realms with exciting facilities, and a myriad of nearby amenities that highlight its unrivaled location. Aspiring homeowners may now view and download Uptown at Farrer Floor Plan & Uptown at Farrer E-Brochure.